If you’re not drinking matcha tea yet, you’re behind the times! Yeah, the powerful health benefits of matcha tea should make you consider to drinking it now. In this article we want to show you why Matcha Tea leaves other teas far behind and is the most powerful tea. While other green teas are grown throughout the world, matcha is unique to Japan. It is rich in nutrients, antioxidants, fiber and chlorophyll. The health benefits of matcha exceed those of other green teas because matcha drinkers ingest the whole leaf, not just the brewed water. One glass of matcha is the equivalent of 10 glasses of green tea in terms of nutritional value and antioxidant content. This makes Macha 10 times more powerful than normal tea and propably the healthiest drink on the planet. Matcha Tea, the healthiest drink on the planet? Matcha tea is metabolism-enhancing, stress-reducing, immune-boosting, cholesterol-lowering, and not at least a cancer fighter. Green tea came from China 1000 years ago, while Matcha today is grown only in Japan, where local farmers cultivate it by traditional methods, from growing to grinding. Matcha Source matcha is farmed by the Yahagi river whose micro-climate and misty fog air make for ideal growing conditions. The Japanese people named the tea matcha. Zen Buddhist monks drank it to remain alert and calm during long hours of meditation, and that was not a bad idea. Japanese tea leaves grow in the shade to increase chlorophyll content. These chlorophyll-rich leaves are then handpicked, steamed, dried and ground into a fine green powder. You can easily make a matcha face mask with a 1/4 teaspoon of matcha, a teaspoon of coconut oil and a teaspoon of moisture mixed together and applied to the skin. After 20 minutes wash away the mask to reveal beautiful, bright and glowing skin. Matcha can be applied to the skin as a face mask which due to it’s strong anti bacterial and anti inflammatory properties can help reduce the appearance of blemishes and also helps brighten skin. Even your teeth will feel better. It thwarts the bacteria that causes plaque, making it a powerful ally for everyday oral hygiene. 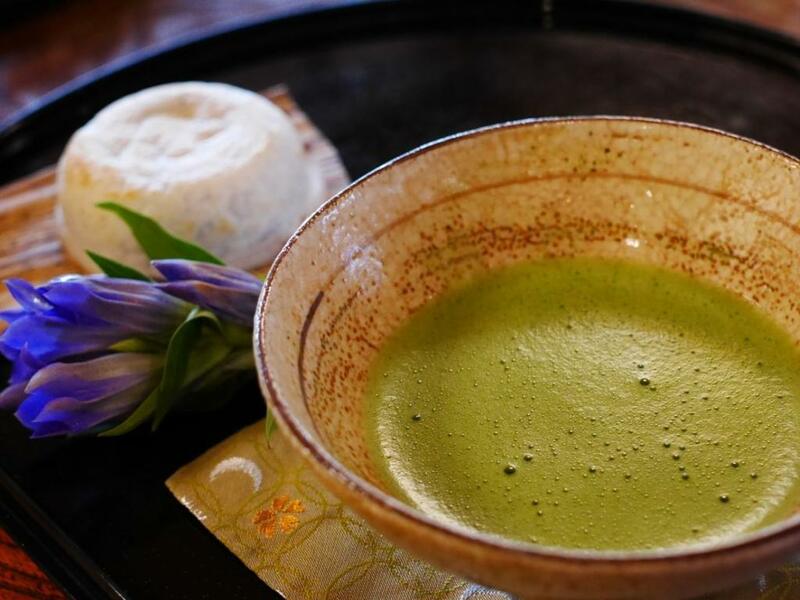 Most of us know that Japanese natives look so much younger than Americans do, no matter what their age, and matcha tea is one of the reasons behind this. Matcha is a heavy staple in the Japanese diet and the most popular drink of the land. In fact, it has been proven that a group of people from Okinawa, Japan have the longest life span of any group of people in the world. Antioxidants disarm free radicals, reactive oxygen molecules that cause damage to the body by harming cells, tissues, and organs. Over time, the damage caused by these destructive molecules may result in a number of age-related diseases and other disorders including atherosclerosis, an impaired immune system, thrombosis, dementia, rheumatoid arthritis, Alzheimer’s disease, heart disease, and diabetes. With generous amounts of the amino acid L-Theanine, matcha can put you in a good mood. Yeah, feel more relaxed and happy. Because it is grown in the shade, matcha contains up to 5 times more of the calming neurotransmitter L-Theanine than regular green tea. L-Theanine activates the brain’s alpha waves, resulting in a feeling of calmness; combined with matcha’s caffeine content, the drink offers sustained calm alertness. People have found that they can lose weight with Matcha green tea with just one cup a day! 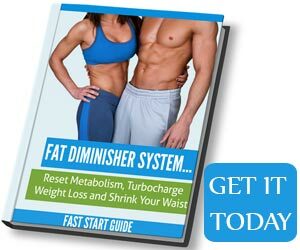 ECGC can help boost metabolism, making it more likely that you will tone up and slim down, especially if you are also exercising and eating a healthy diet at the same time. A study demonstrated that exercising immediately after drinking matcha green tea resulted in 25% more fat burning during exercise. There is no adrenal weirdness, no glucose spike, and no need for pastry; it satiates like nothing else, making it the perfect treat for anyone worried about their weight. The tea’s power is so super because entire leaves are dissolved in water rather than steeped in bags. Instead of throwing away the leaves, you ingest all their antioxidant powers. Those numbers are off the charts. Matcha green tea possesses antioxidant levels more than 6 times that of goji berries, 7 times that of dark chocolate, 17 times that of wild blueberries and 60 times that of spinach! These numbers are quite amazing! Coffee breath and enamel staining? This is a no brainer. Matcha is better for your breath. Try a cup of matcha green tea as an afternoon “pick-me-up” anytime you need extra focus. Matcha green tea is an ideal substitute for coffee because it provides an energy boost without the headaches you might get from a coffee crash. The amount of caffeine bind with matcha’s phytonutrients, especially L-theanine, in a way that slows the body’s absorption of the caffeine; it typically lasts at least three hours, though some people report feeling it for as long as five or six. If you want to invest in your health, you should definitely consider to drink Matcha Tea on daily basis. You will be flooding your body with antioxidants that are combatting free radicals and removing these from your system, preventing them from damaging your skin cells helping to prevent cell degeneration and premature ageing.